Cracked rails may not be uncommon in transit systems, but the one in the area where a train derailed Monday morning was unusual for Metro. The crack happened in an area where rails don’t normally break. “Historically, we have not had issues in this part of the line,” Metro GM and CEO Paul Wiedefeld said. The crack was near the Farragut North Station on the Red Line, where underground rails are fairly protected from big temperature swings — a major contributing factor to cracked rails. A Red Line train headed to downtown D.C. went off of the tracks Monday morning between Farragut North and Metro Center. News4's Darcy Spencer reports Tuesday morning riders will face delays. The crack started from the bottom of the rail — not the top — which is also unusual. The rail had been inspected five days before the derailment. 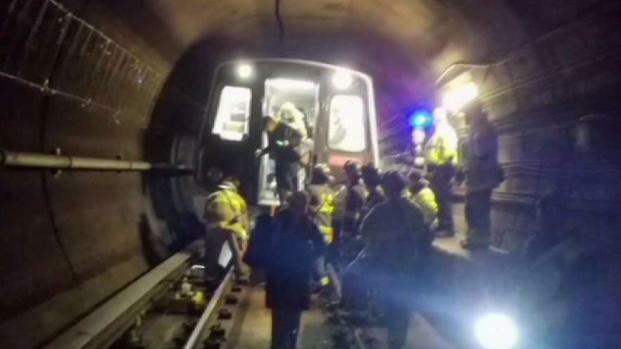 The area was not part of Metro's SafeTrack maintenance project. Local and federal investigators are working to determine what caused the train to derail. Metro has experienced a positive trend in cracked rails in recent years. There were 13 in 2017, down from 31 in 2016 and 35 in 2015. There have been three in 2018. 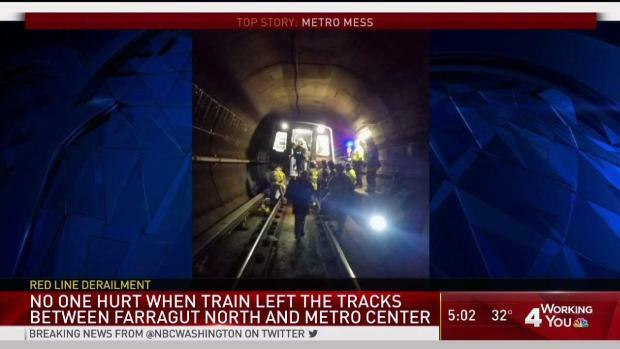 News4's Adam Tuss and Derrick Ward have team coverage of the Metro derailment early Monday morning. Three cars of a train crashed off the tracks about 6:30 a.m. Monday, injuring no one but startling dozens. Sixty-three people walked the length of two football fields through a tunnel to exit at Metro Center. They were on the train about 90 minutes before the evacuation. 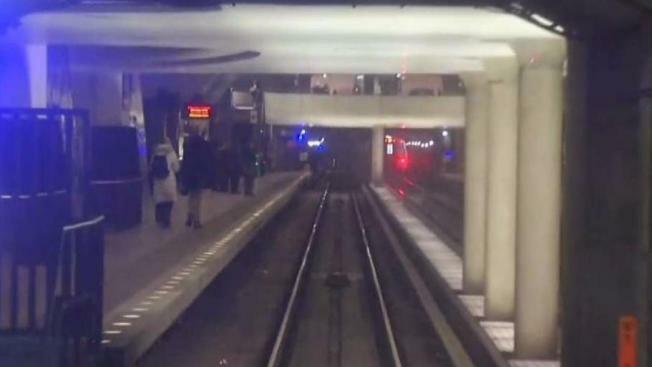 The evacuation was conducted with safety in mind, not speed, according to Metro. Metro service was suspended in the area for hours Monday, and trains single-tracked in the area until about 10:30 a.m. Tuesday.